For those of you that don't know me, I try to eat as Primally as possible. More on that later. Its almost blackberry season again. It looks like its going to be another great year, despite the basic lack of summer so far. Where I walk the dogs, unripe berries are hanging thick and heavy on the branches promising hours of fruitful picking while the dogs beg me to hurry up so I can throw the ball again. Its inspired me to use the blackberry juice I prepared and froze last year. Since I don't (usually) eat sugar, I've been trying to figure out a way to make blackberry jelly without adding any - or very little - sugar. 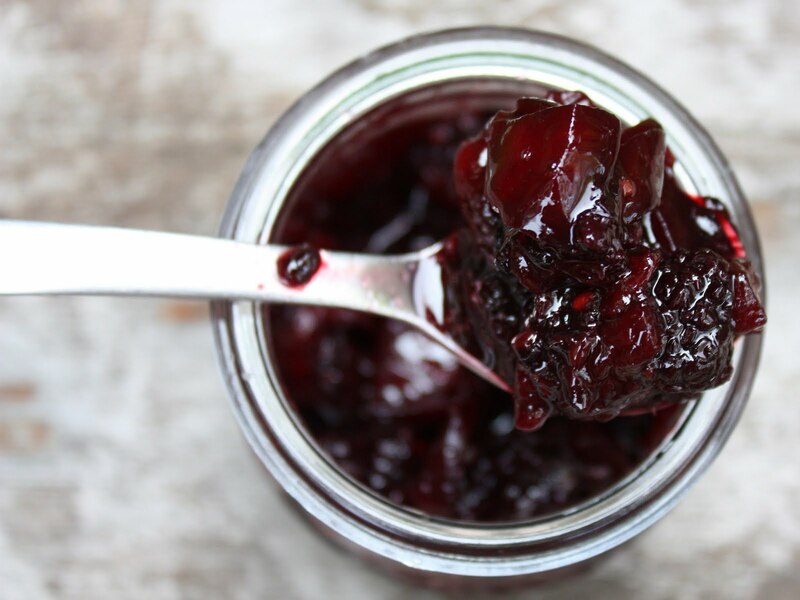 Jellies and jams are usually set with pectin which requires sugar and acid to make them gel. Store bought pectin requires quite exacting and insanely high amounts of sugar to get that nice jammy or jelly texture. Marcus is quite happy with the traditional sweet taste of jams and jellies, but for me, I find the sweetness overpowering. I also find it takes me on a sugar roller coaster as it will prime my sugar addicted brain cells. I find myself prowling the house for about 3 days afterwards, opening and closing cupboards, and looking for something sweet that I know I shouldn't eat and will only perpetuate the cycle. Much easier to not start that cycle in the first place. Pectin, as I've sadly found out, is quite unforgiving when you try to reduce the amount of sugar and last year I usually ended up with blackberry syrup. Great with ice-cream (for going-along-for-the-Primal-ride Marcus) but not so great for putting it anywhere where you want it to stay. After many attempts, I've developed a healthy respect for the chemistry of making jellies. I've made blackberry jam previously by just cooking it a very long time at low temperatures until it gelled but I found the end result didn't have that fresh blackberry taste I was looking for. Its really easy to overcook it and get an almost over-caramelized taste to it. I recently discovered Pomona Pectin which uses calcium rather than sugar to gel. This stuff is so powerful, it will gel water if the calcium content is high enough! You don't have to use any sugar at all if you don't want to. It comes with calcium powder and pectin and is as easy to use as sugar-based pectins. It came in the mail a few days ago and I'm about to try my first batch. I await your results with bait on my breath. You may be on to something there, blackberry jelly guru! Seriously, Teresa's cooking on all fronts is SPECTACULAR! One would think that the paleo/primal diet would result in hugely comprised menu choices, but Teresa manages to pull out something delicious every time. Her jam was/is delicious, and I hardly notice a difference in sweetness with the sugar saturated store bought stuff that I have learned to love over the years. Hard to believe I only have had two cavities.